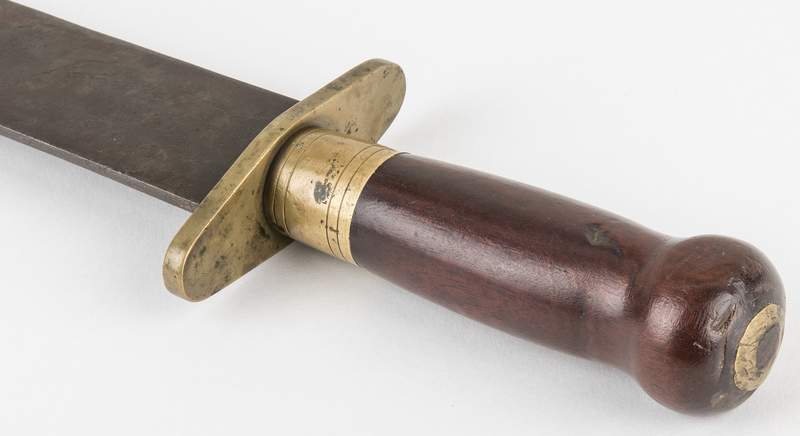 Confederate North Carolina Clip Point Bowie Knife. Belonged to Calvin Baker who served under Captain Hankins' Surry Light Artillery, 3rd Virginia Infantry. 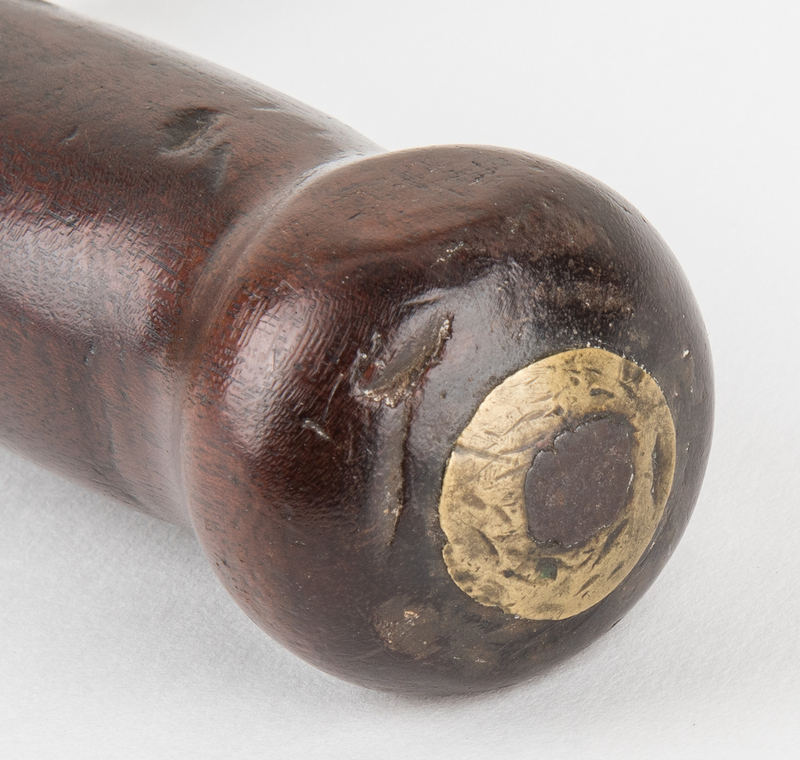 Turned walnut grip, brass ferrule with four decorative inscribed lines, blade with flat back and clip point. Unmarked. Includes binder with genealogical and military records of Calvin Baker and his family with additional photocopies of photographs of the knife. Blade length – 16 7/8". Overall length – 22". Provenance: Descended in the family of Calvin Baker until it was sold by his great grandson, Emmett Billings Baker, August 10, 2002. Estate of Jim Maconkey, Landrum, SC. 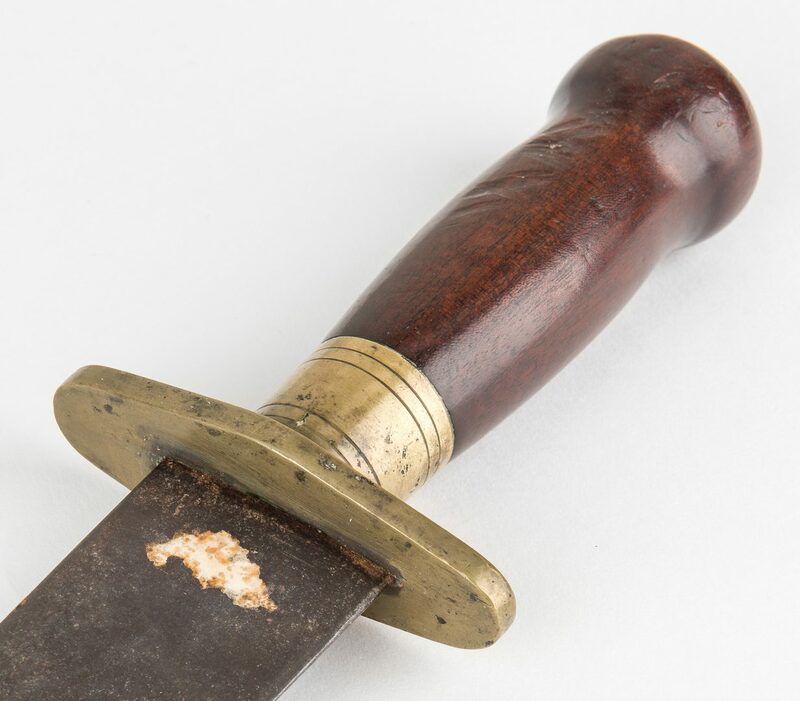 Note: This knife is included in "Confederate Bowie Knives" by Jack Melton, Josh Phillips, and John Sexton, 2012, page 163. CONDITION: Overall good condition with dark patina, light pitting, and nicks to blade. Few areas of tarnish to ferrule.